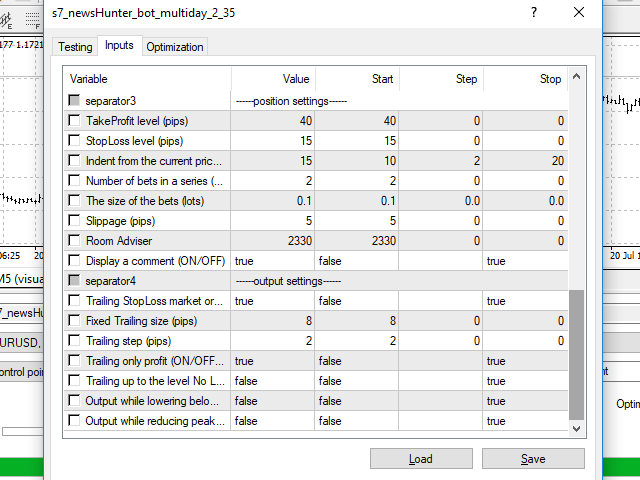 This expert Advisor is a more developed version of News Hunter Bot OneTime. The EA places pending orders BuyStop and SellStop before the news release at a specified distance from the current price. The date and time of the news release is set in the EA parameters for a few days in advance. In total, you can set the time for 20 news. Also, the EA indicates how many minutes before the news you need to place pending orders and after how many minutes you should remove pending orders that have not been triggered. The EA can place a series of pending orders. 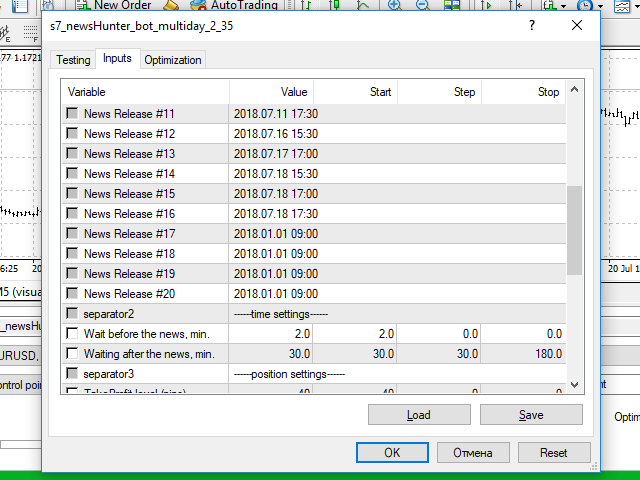 The number of orders in the series is specified in the parameters. In this case, the step with which pending orders are placed will be equal to the profit. The EA distinguishes between two-three and five-four-digit quotes. In the parameters, the values are specified in points (this is the second or fourth decimal place). The EA works on any instrument and with any TF. The EA parameters specify the number (Magic) to filter your orders from others. You can set the EA on different charts with the same tool, but different time. In this case, you must specify different numbers for each graph. If the tool on the charts is different, you can not change the number - there will be no confusion. 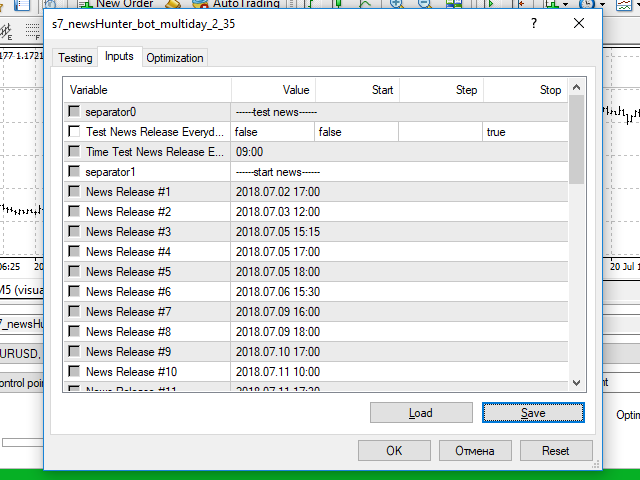 The EA has a function of checking the work on daily test news, specified by the time of release in hours and minutes. В коде программы реализованы проверки на достаточность средств для выставления серии отложенных ордеров, на корректность объемов ордеров, на количество ордеров, на корректность стоп уровней. Test News Release Everyday (ON/OFF) - enable test news every day (Yes / no) - only to check the opening of orders! 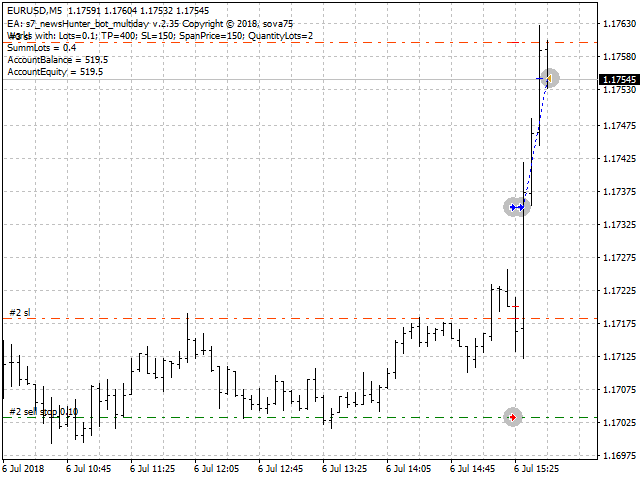 The figures show an example of the EA setup and its check in the strategy tester of the terminal. 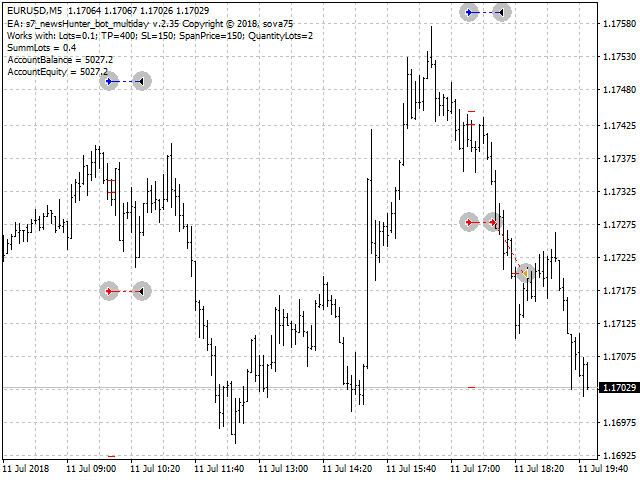 For example, EURUSD,M5 and news for the last month are taken. 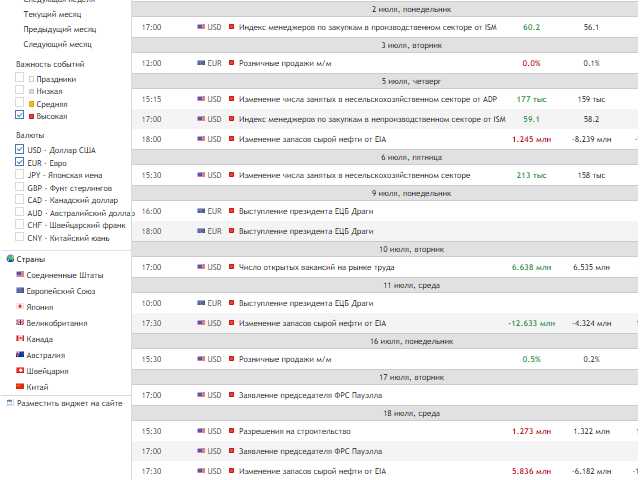 The news is taken from the economic calendar of the MQL5 website with a filter of high importance for two currencies - EUR and USD. ATTENTION! When trading on real news don't forget to turn off the test News Release Everyday option!